The setting sun will usher in Shavuot, the Feast of Weeks. After reading and learning Torah all night long, the Ten Commandments will be read during the morning prayers, marking the giving of the Torah at Mount Sinai in the Jewish year 2248. The Ten Commandments have had a powerful influence in the formation of Western values. 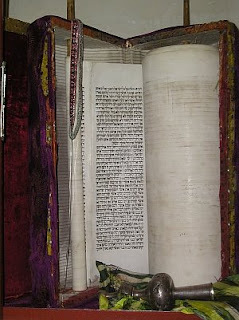 Within Judaism, all of the 613 commandments have a connection to one of the commandments in the decalogue. The greatest trait which distinguishes humans is the ability to measure one's own conduct against a system of values and to find it wanting. It is an act of great mercy of our Creator to have given us a revealed set of laws through which we might refine ourselves towards reaching our full potential. When I read the books of the prophets, in many cases they resemble literature of protest. The inclusion of each book in the biblical canon is based not only on how it spoke to its generation but upon its eternal resonance in following generations. The idea of a rebuking prophet like Hosea or Jeremiah is a powerful legacy for each and every individual and nation. The precedent of a relentlessly honest history with which a nation must live is a gold standard to which it is wise to adhere. I feel great gratitude as a Jew in America for the freedom and opportunity it it offers to members of all faiths. Beyond this, the ability to criticise ourselves and to hold ourselves to higher standards evokes comparison to other peoples who are guided by rebuking prophets. On this holiday, I thank G-d for his guidance through the giving of the Torah and the American people for the peace we enjoy as we await the messianic redemption and ingathering of exiles. A week that began with Memorial Day and ending with Shavuot evokes thoughts of gratitude to G-d and man. On this meaningful and joyous occasion I wish all of my readers peace and happiness in the manner that was meant for us.